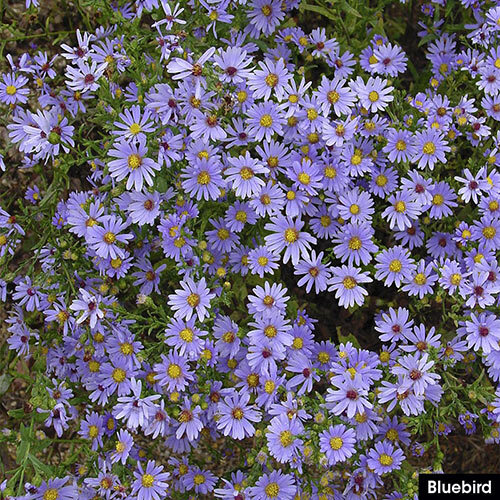 We always want to end the season on a high note, and with asters, that is pretty well guaranteed. Especially if it's our Compact Aster Collection. 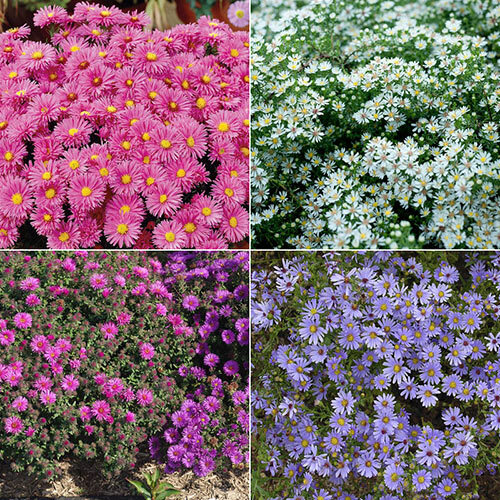 These four varieties have the benefits of modern hybridization, with stronger resistance to mildew and splitting—the two issues that tend to spell trouble for traditional asters. 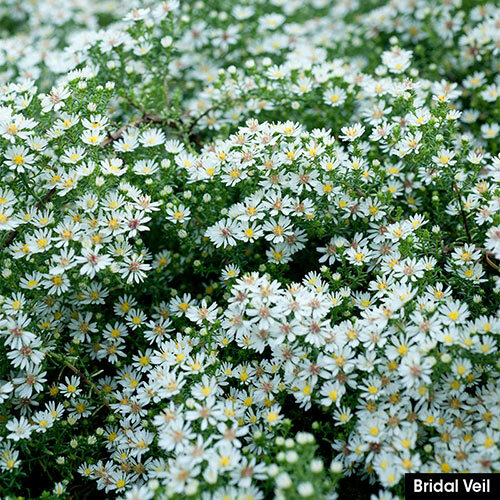 As other plants fade in late summer, these spill forth with hundreds of cheerful, daisylike blooms, bringing your garden dependable color from late summer until frost. Caring for asters is easy. 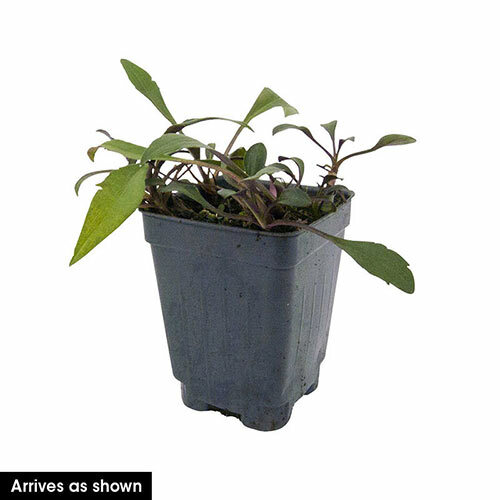 They require no deadheading and no staking, plus they are drought tolerant. Deer and rabbits tend to leave them alone. These four varieties are all compact moundforming plants, but they have a nice range in height for accenting flower beds or filling planters. 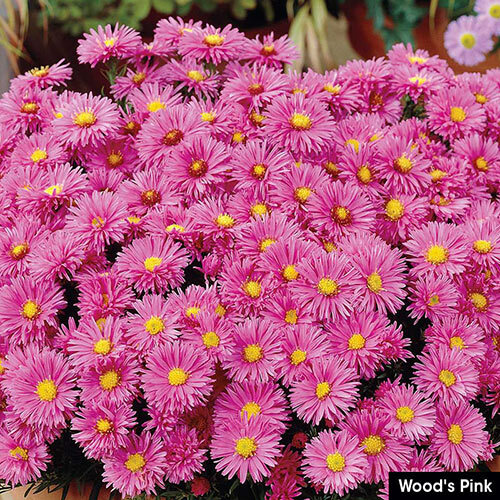 The dwarf aster, Wood's Pink, reaches up to 16" and is perfect along a front border. Bridal Veil and Vibrant Dome reach middling heights at 18-24", making Bluebird the perfect backdrop at 3-4'. 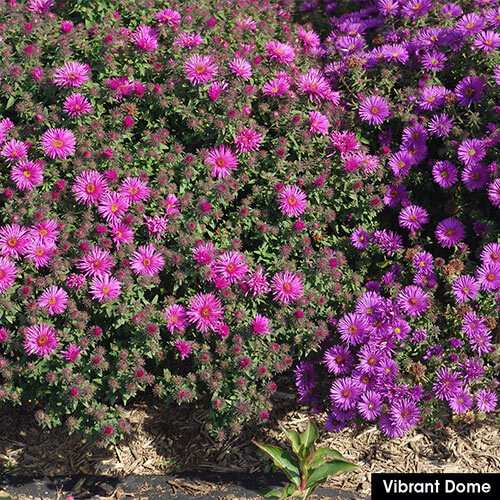 Planting InstructionsLike mums, asters require long days for vegetative growth and short days for bud initiation and development. Winter CareMulch to prevent winter heaving in northern climates, especially where snow cover is lacking. Soil RequirementMoist, well-drained soil. Wet winter soils are more damaging than the cold weather. PruningHard prune in winter. Divide every 3-4 years to maintain vigor.